PayWhirl comes with several different types of payment widgets that can be embedded into your website to allow your customers to subscribe to payment plans, make one-time purchases, login to manage their customer information, update credit cards on file, see upcoming payments, reset passwords, etc. All PayWhirl widgets and forms are responsive (designed to work on any mobile device, tablet, etc.) and will expand to fill the space that you paste them into. If your page is too narrow then it will force the widget to break down into a vertical / mobile layout. However, you can use custom css to override widget layout changes if you need. If the space your pasting your widget is at least 997px wide then your widget will display the number of columns you specify in your widget settings (2,3 or 4 columns). 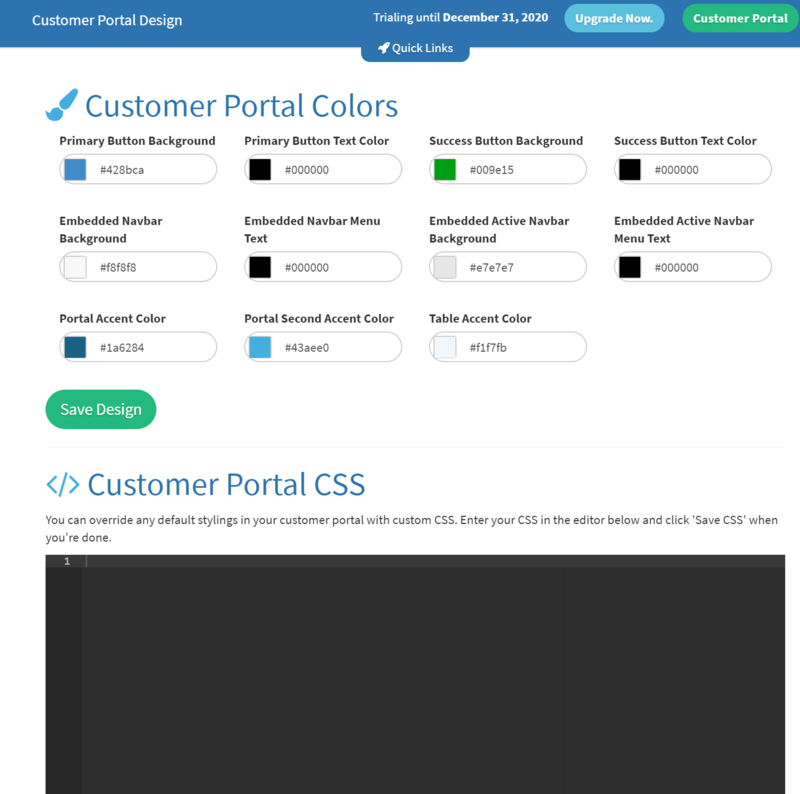 You can also make changes to the rest of the widget flow by going to the Widgets & Forms > Customer Portal > Style my portal. NOTE: These are just examples of a few BASIC solutions to alter widget layouts with css...They are not perfect solutions and should be altered / added to depending on your needs. Please note we do not officially support custom css overrides but we're always happy to help if we can so please feel free to reach out with any css questions and we'll do our best to find you a custom solution.